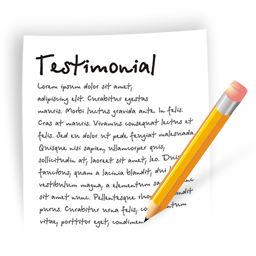 ﻿ Customer Testimonials | iTech Workshop. We have several clients from the United States and some from India. Our clients include Billing Service Bureaus, BPOs, EMR Vendors, Providers, Clinics, Hospitals, Clearinghouses, Ambulance/EMS Agencies and Healthcare Solution Vendors across the United States and India. Rakesh Srivastava, Cardiologist , SHOOLIN, LLC. Billijean S. Hobson, President, Max Revenue Corp.
Michigan user group review who use Patagonia’s EMR along with expEDIum PMS for billing. It is a pleasure working with iTech! We are a small behavioral health provider in Georgia and have had difficulty finding a billing solution that provides prompt payment by insurance companies and an integrated billing solution for an affordable rate. We have never had claims paid so consistently before using the expEDIum billing solution and claims portal! iTech consistently responds to our questions and training needs, no matter what time of day or evening. I have truly never received such excellent service! I give iTech permission to provide my contact information to anyone interested in using their services." Jessica W Epps, LCSW, CADC, Clinical Director, Steppingstones To Recovery, LLC. We have very much appreciated working with iTech on this project. You all are very good at what you do and you have performed well for us and been quick to respond to our needs. We wish you the very best and if we are able to work with you again in the future, we would look forward to that. Patrick Yancey, CEO, Kansas Health Solutions, Inc.
iTech has been great to work with on multiple levels. Aside from standard billing, we needed a new claims payment system for a small IPA we run. When we looked around at companies who provide that software we found they were all cost prohibitive and unwilling to get creative in their pricing for a small IPA. We looked at dozens of companies and were getting frustrated until we came across iTech....We are transitioning off our IBM AS400 which has served us well for 19 years to iTech‘s cloud based expEDIum Claims Portal system and it is going extremely well. We are most pleased with iTech‘s willingness to be patient with us, to clearly understand our needs and then come up with the right solution. Something we could not find with US based companies. We are very pleased with our decision. We think we can scale with the technology and the customer service has been fantastic! We needed a claims software that would put our ICD-9 claims into an 837 HIPAA approved format which would allow us to send encounter claims to Anthem electronically. We were using an older claims processing system in which limited claim data could be exported into csv file. We came in contact with iTech and evaluated their claims software. The iTech team was very responsive, flexible and ready go the extra mile to customize their csv claim map file to support our proprietary csv file format. Within a few weeks iTech supported our csv format and helped to create the complete 838P claims at very affordable cost. We have submitted thousands of claims to Anthem through expEDIum Solution with relative ease. The software is easy to use and very understandable. It checks for possible errors and inconsistencies which allows the operator to edit and correct those errors before the file is submitted to Anthem. If a claim is rejected by Anthem, the software picks it back up and alerts the operator so that he/she may investigate the error, correct it and resubmit it to Anthem. We have been very pleased with the software, the helpfulness of the team, and the overall results. We would highly recommend iTech to anyone looking for claims solutions. Robert O. Mackler, Executive Vice President, Pacific Health Alliance. It is with great and sincere pleasure that I write this statement of service and value on behalf of iTech and their excellent program expEDIum. Making the decision to go through a software conversion was not taken lightly. Change of this magnitude takes a lot of patience and hard work. We are very thankful that we went with iTech. They have been extremely patient in taking us through the conversion process; teaching staff in areas we were inexperienced; working closely with us to design the programming into a semblance of what we were accustomed. iTech‘s ability to transform an existing program into a custom format for specialty use is nothing short of amazing. MAXimize, Inc. is a nationally-based ambulance and EMS billing company. Because we cover so many states and so many different rules within each state it was difficult to locate a company that would work with us. Anyone can write a program specific to one state but not many can write a program that can handle every state we work in and their specific requirements. We look forward to expanding our partnership with iTech and continue the growth of the expEDIum program. We have been a reseller of the expEDIum Electronic Claim Scrubber (eCS) for the past 9 months. We have enjoyed our business relationship with iTech. They have helped us with a solution to provide a simple, effective method to submit electronic claims in the HIPAA standard ANSI X12 format. We have found their application to be user friendly and the implementation went very well also. As we have resold this product, we greatly impressed with iTech‘s level of support and their “we can do that” attitude. I would strongly recommend both iTech and their expEDIum Electronic Claim Scrubber product. We continue to plug along with our new Patagonia Health EHR and Practice Management at our District Clinic. Practice Management is going well. Insurance billing has really improved. Medicaid and Medicare are going smoothly as well. We are beginning to get reports out of the system now that we have data in the system to report. Patagonia and iTech continues to be responsive to suggested improvements and are keeping an ongoing list of our requests and where we are with those improvements. I have been working iTech since 2006, we have been extremely grateful for all their services that they have provided. They have provided WEBeDoctor all help and support developing software for Medical Billing using ANSI 4010 and 5010. iTech team has always very efficiently delivered all the required work on or before the scheduled time. With a looming ANSI 5010 deadline approaching and in need of a solution for my client, I reached out to iTech who had come through for me in the crunch before. They quickly mobilized and offered an affordable migration path for my customer even though they were on a very old platform. With their help I was able to upgrade and submit test files and get the necessary adjustments applied before the deadlines. As a result I have a very appreciative client and I could not have done it without the good work of iTech. Their professionalism and accessibility is always appreciated. Thank you for helping me last year and this year with converting NSF files.The state of Washington, DSHS, now requires us to submit batch claims directly to them. Their 837 claim companion guide has a number of exceptions and options selected to the 837 standard. So, I had to write a new 837 that is unique to DSHS. Since I was able to compare my output with the NSF conversion I was able to get it done. So, THANK YOU VERY MUCH FOR YOUR SOFTWARE AND SUPPORT. THE HELP I GOT WAS TREMENDOUS.HAPPY HOLIDAYS TO YOU ALL. I would like to start off by saying at the beginning, when we first switched over to this new system, I was completely overwhelmed because of new way of entering claims into the system which was different from our earlier software, but now as the time has passed, it has become less time consuming and can get through a claim and through the system pretty quickly. Thanks to iTech's support calls on showing us how to do certain things. I do appreciate how efficiently and quickly iTech gets us the information that we request and I know it does take some time to have certain patches put in and worked on, but you guys do an efficient job. When we need something custom iTech personnel is there to give it, you are up on some of the things for the upcoming year for the software that the insurances are requiring (such as v5010 and ICD-10). We are currently making use of expEDIum Medical Billing software from iTech. We are absolutely convinced that this particular software is the very best in the market for our requirements. The superb after sales service that is rendered by the company staff is second to none.The staff is knowledgeable about their products and is aware of HIPPA regulations in the USA. They are very easily accessible and ready to help. I have been working with iTech for over 3 years now. I interviewed several companies both in the USA and abroad and iTech proved from our first conversation they were the vendor to work with. From the beginning they understood our mission as a clearinghouse and the need for a user friendly claims processing application. The level of support they offer is unsurpassed. I can reach them almost any time of the day or night and they always take care of any issue in an expedient timeframe. Try that with a national vendor...it will never happen. We have spent many long hours together working on our projects both over the phone and in person and they have been incredible to work with. There aren't enough adjectives to use to describe what wonderful people they are. I would recommend iTech without hesitation. You will not be disappointed. We looked at several translators. Most were complicated and the vendor provided little or no support. In my experience, it is the responsiveness of the vendors and partners that determine your success. We desired a translator that could be used both in a GUI mode or Command-line mode that could be operated by inexperienced personnel. I found an excellent translator that met our entire requirement and backed by a superb customer service oriented company. We have been working with iTech since May 2008 and have been operational translating NSF T0301 to ANSI 837P since July 2008. I initially had concerns about doing business with a company located outside the US. I have been in the industry since 1983 and am therefore acutely aware of application deployment issues. In all these years of doing business with National vendors, iTech provided the best customer support I have ever experienced. The level of service that iTech provided is unsurpassed. It is a pleasure to work with iTech and I look forward to moving on to the next project with them. They delivered what was promised...They helped me seamlessly integrate expEDIum T0301 Adapter with my existing practice management system (Medical Manager) to support NSF T0301 to ANSI 837 translation...We will continue our relationship with iTech because they make the process of the constant changes and requirements of legacy file conversions a lot easier...I strongly and without reservation recommend iTech. We have been using the claim scrubber software for the last 18 months. Not only the application is very user friendly which is very important to us, the implementation of the application was well co-coordinated and smooth. More importantly the iTech team was the most rewarding happy experience for all including myself. They never put any pressure or any "can‘t do this" attitude, something we had feared with many other top solution providers. They worked closely and as our own people. Over all we are extremely happy with software, implementation and it‘s over all success. We have time to time got the application modified as per our own requirement and at the same time, iTech is also constantly upgrading software and releasing new versions. The performance of the software and the service rendered by the company is very much satisfactory. We wish iTech team all success for all their future plans. Your team's responsiveness is what I appreciate the most. Everyone we have worked with or met so far has been extraordinarily professional, patient and knowledgeable. I have been working with iTech since all of the conversions of HIPAA came into effect. I am very pleased with the friendly service I receive from the support staff. They are very attentive and address my problems and concerns timely and efficiently. If I ever have a problem of not understanding how something works, I always get nothing but understanding and compassionate help from the staff. I hope to continue my relationship with iTech, they make the process of the constant changes and requirements of legacy file conversions a lot easier. When I got paid for the claims that I sent through your software I was glad that I went for your product, you are not cheap but you have delivered what you promised....helped me seamlessly integrate expEDIum Adapter with my existing practice management system. Also, a major upgrade like supporting NPI on my existing installation of the expEDIum Adapter was handled very well by you. I consider iTech to be a valuable partner for us. I attribute that value to several key factors: First, they have invested a considerable amount of time understanding my business goals. That business knowledge and understanding are tied to the quality of service they have delivered. I believe that a large part of their success is due to focus on project schedules and deliverables. The other key factor is timeliness to deliver quickly and the ability to respond quickly to system issues. As I have stated many times in the past, I would and do strongly recommend iTech as a software provider and business partner. The level of service that iTech provided, I believe, is unsurpassed. In the years of doing business with National vendors, I have never had such a pleasant working relationship, as I have had with iTech Workshop...They have not only offered a solution to my original HIPAA issue, they have done it with the best Customer support I have seen in all my years. It truly has been a pleasure working with iTech and I look forward to continuing a working relationship with them. iTech Workshop has delivered an unsurpassed level of quality and customer Support for our Dental Clearinghouse services. iTech is taking us to the next level. We are able to process our transactions to our trading partners real-time. iTech has been able to give our customers a lot more functionality then we ever thought we could do! I have worked with iTech for a couple of years now, they are very dependable and knowledgeable in HIPAA related subjects. I have never worked with anyone before that provided this level of support. I will recommend iTech to anyone who wants its products. We evaluated several companies' claims file format transformers before selecting iTech Workshop as a technology partner to source the transformers. Our initial concerns regarding quality, distance and responsiveness quickly disappeared as they met our expectations with quality and timeliness. We have integrated their transformers with our Healthcare Collaboration Management Suite and implemented the solution at our customers. We have been working with iTech for nearly 2 years and they continue to meet and exceed our expectations. We are very delighted by professionalism shown by the iTech engineers and the management.